Hawaiʻi Island police are searching for two people and a van wanted in connection with a robbery that occurred at about 6 p.m. Wednesday evening (June 28) in Pāhoa. Responding to a 7:03 p.m. call, a 32-year-old Nānāwale man told police he was approached from behind by a male individual while walking up Kahakai Boulevard near `Āweoweo Street in the Hawaiian Beaches Subdivision. The person demanded money and threatened the victim with a weapon. He then fled in a van towards Pāhoa Town with the victim’s belongings including an undisclosed amount of cash. The victim did not sustain any physical injuries as a result of this incident. 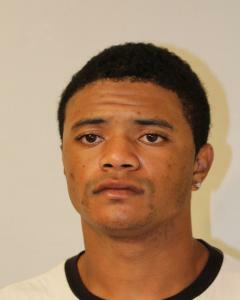 Police are seeking 23-year-old Curtis Kealoha Brown III of Pāhoa. He is described as being African-American, 5-feet-10-inches, 145 pounds having short black hair and brown eyes with tattoos on both arms. The suspect’s van is described as a blue and black colored, older model mini-van that was being driven by an unidentified person wearing a hoodie and bandana.